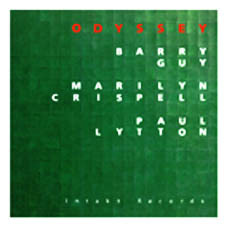 compositions for the London Jazz Composers Orchestra or the Barry Guy New Orchestra. In the trio, Barry Guy¹s compositional talents and his special tone colors are fully evident. highlights of the three soloists. Grösse und seine speziellen Klangfarben voll zur Geltung.